Our holiday wishlist – help us make the holidays bright! Read the Holiday 2018/2019 Newsletter here. Help us grow seeds of hope this holiday season. 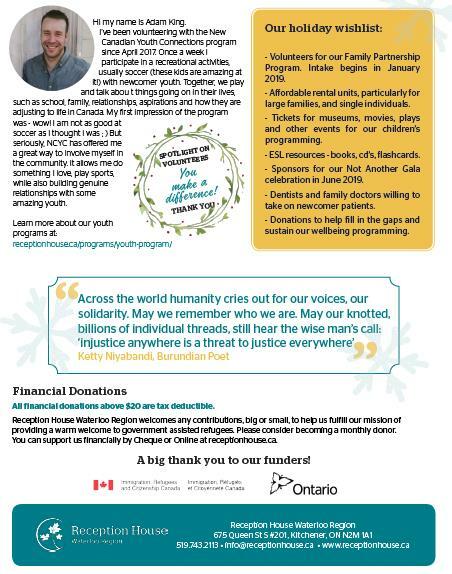 Your donations help pay for things like children’s programming, wellness services and social integration programs that help build a sense of home for refugees in Waterloo Region.